For all of those living in Playa del carmen or Cancun, Mexico seems to be a perfectly normal and safe place to live. But after news of drug related violence in the country in the recent years, a common question posted by travelers is: ‘Is Mexico a safe country to go to?’ The answer is yes, if you know where to go and do your research well. So before you dismiss a vacation to Mexico this year, take into account our list of the 8 top safest places to visit In Mexico (there are quite a few other contenders as well! ), in terms of safety, charm and attractions. Also, none of these 8 Mexican getaways feature on the US State Department’s warning list. Loaded with entertainment, plentiful cultural offerings, a bubbling street life, history and an year-round spring-like climate, there is no doubt that Mexico City is one of the most fascinating cities in the world! Twenty years ago, the city was regarded unsafe, but successive local surveillance, like a widespread presence of police and security cameras, has made it safe for residents and visitors. 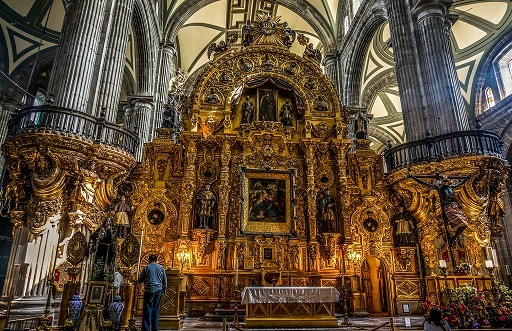 With an increasing population of over 8 million, Mexico City is considered to be the cultural, political as well as the financial capital of Mexico. The tourist attractions of this city are quite different than those offered by the country’s beach destinations. This ancient city has Aztec canals (Check about Xochimilco Cancun Park), pyramids, revived colonial buildings, elegant eateries and a whole lot more. The downtown area, known as Zocalo, is the best place to take in the historic sites and it gives you an idea of the essence of the city. Palacio Nacional (The Presidential Palace) lies on the east side of the Zocalo whereas the Catedral Metropolitana is located on the north. 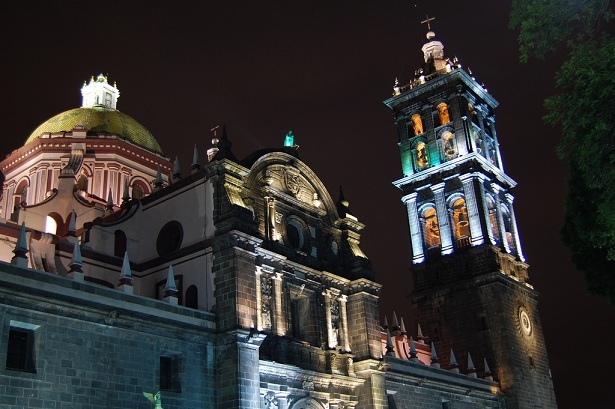 Government offices are located south whereas the west side of Zocalo is lined with jewelry shops and extravagant hotels. The streets are full of vendors selling all sorts of knick-knacks. A conventional Mexican night begins at 10pm, and keeping up with this tradition, Mexico City parties until the wee hours of the morning. Though it encountered severe political disturbances in 2006, the city of Oaxaca has recovered completely and today is regarded as a safe area for travel. Oaxaca has the vivacious vibe of a small Mexican town coupled with a rich cultural history. Visitors can expect to be pleasantly surprised with the spontaneous fiestas on the streets. Oaxaca also offers stunning Pacific beaches with world-famous surfing opportunities, an acclaimed art scene, beautifully designed laurels and an interesting shopping scene. For some exceptional finds, head to the street markets of Oaxaca that sell everything from unique crafts and artwork to mouthwatering Oaxaca chocolate and mole sauces! The city also boasts of an impressive range of cuisine and accommodations, from classic and economical to contemporary and stylish. 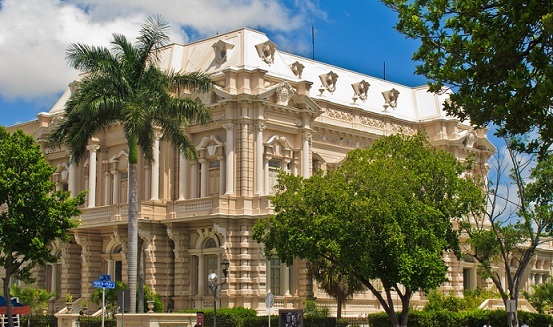 One of the safest and cleanest cities in Mexico, the colonial city of Merida is located four hours inland from Cancun. With its many hotels and restaurants, hidden courtyards, tropical gardens, cultural attractions and lively shopping scene, Merida is not just an underestimated additive to a beach vacation, but is a destination in its own right. The city looks and feels the best on weekends, when the historical center – a setting of 17th-century cathedrals made from Mayan bricks – shuts out all vehicles and transforms into this lively place with open-air stages, taco stands and much life. Merida is encircled by world-famous Mayan ruins, including Chichen Itza, which is 74 miles to its east, Uxmal, which is 50 miles southeast and Dzibilchaltun, which is just nine miles away. Near the southern tip of Baja California, the tiny Mexican town of Todos Santos is a haven for surfing, fresh seafood and ravishing scenery along the Pacific Ocean. There are a good deal of places here to have a drink in a laid-back sort of a way, so enjoy your beer against the gorgeous setting of golden sand beaches and the serene, turquoise waters. 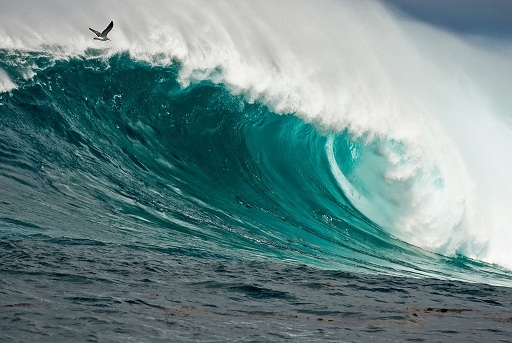 A couple of hours from Cabo, this easygoing, little beach town also has a thriving art scene. With splendid beaches and tiny taco stands, Todos Santos is safely secluded from any sort of crime or violence negating the question, “Is Mexico safe?”. For your next Baja trip, if you wish to escape the crowds, live off the grid, have the most genuine experience, but still be on the beach, Todos Santos would be worth considering. 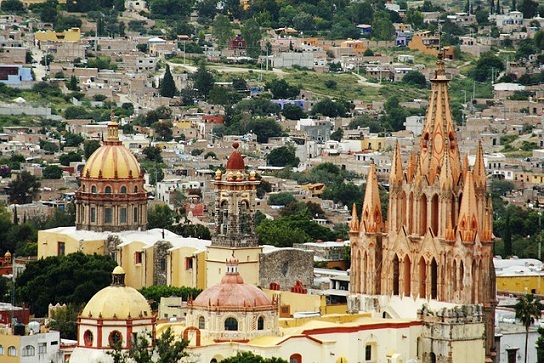 Located in Central Mexico, San Miguel de Allende is a stunner, without any traces of drug violence. A Unesco World Heritage site since 2008, the magical town of San Miguel de Allende does not have gorgeous beaches like the other popular Mexican resorts of Cancun, Cozumel, or Los Cabos, but has that something to make tourists fall head over heels in love with it! So much so, that most visitors decide to revisit the place while many others plant to settle here permanently! No wonder then that expats contribute to 20 percent of the town’s population. This irresistible city, famous for its rose-tinted turrets, is full of pretty guesthouses, handicraft shops, 17th-century churches and botanic gardens. San Miguel de Allende’s snug lifestyle, cobblestoned appeal, splendid restaurants, perfect weather, intriguing architecture and a healthy art scene make it extremely easy for newcomers to settle in also contribute to making vacationers have a fantastic time. Undeniably the most chic and popular spot on all of the Yucatan Peninsula, Playa del Carmen is most famous for its beaches, shopping and nightlife. Quinta Avenida or the 5th Avenue is this touristy town’s main street and is lined with shops, bars, restaurants, nightclubs, entertainment, take-away tacos and vendors selling souvenirs and knick-knacks. 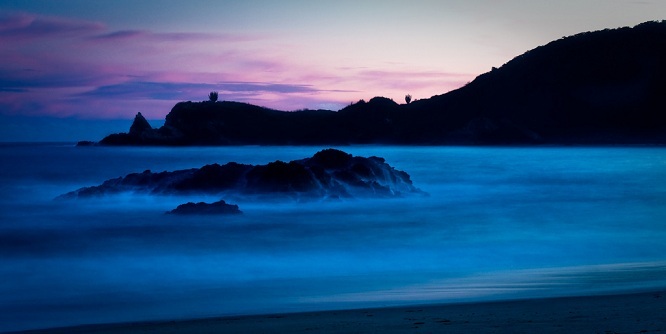 Just a short walk from the main beach, this area bounces back to life after sunset. You can dance the night away in one of Playa’s nightclubs, have a quiet drink in one of the lounges, bargain with the vendors or just stroll around doing some people watching. The reefs of this town are excellent, and offer good diving and snorkeling opportunities. The town is conveniently located and allows easy access to Cozumel, Tulum, Coba and other praiseworthy destinations. A small and safe colonial city with a thriving cultural scene, Guanajuato is brimming with character. 30 minutes from León’s Bajio Airport, Guanajuata is a ravishing hill town featuring magnificent 16th-century cathedrals, brightly colored homes on steep hillsides and tree-lined plazas. This city is best known for its Festival Cervantino – a 3-week long international arts festival held every October, featuring world-class opera, music, dance, theatre, orchestras, mariachis, street performance, visual art and films. 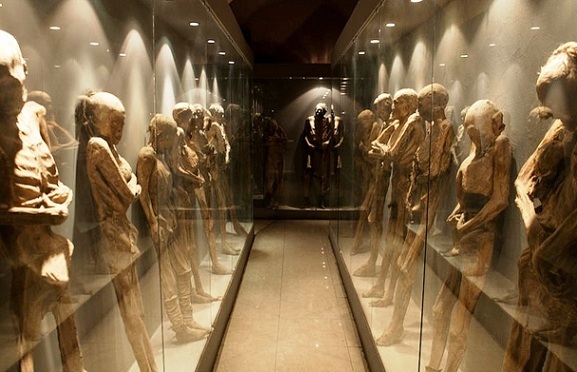 Another must-see in Guanjuato is the Museo de las Mumias, a museum at the city cemetery, which exhibits approximately 100 mummies. Wow! I like your post. Thank you so much for sharing about these places. I like to visit San Miguel de Allende and Puebla. 🙂 I’m intrigued. By the way, are these places near each other? It would be wonderful to see one after the other. If I can find best hotel guides in the area, I will tell my husband about these gems.